Everyone with learning disabilities should receive a review of their mental health, says the National Institute of Health and Care Excellence (NICE). Every person with a learning disability should receive a mental health review during annual health checks, according to the National Institute of Health and Care Excellence (NICE). The organisation today published a quality standard for identifying and managing mental health problems in individuals with learning disabilties. In the UK, 40% of adults and 36% of children with learning disabilities are known to experience mental health problems. Some conditions, including schizophrenia and bipolar disorder, are more common in people with learning disabilities. Carer and topic expert on NICE’s quality standard committee Ian Rogers said: ‘We know people with learning disabilities have an increased risk of experiencing mental health problems. But their symptoms are sometimes wrongly attributed to their learning disabilities or a physical health problem rather than an alteration in their mental health. This needs to change. People with learning disabilities who need a mental health assessment should be referred to a professional with expertise in mental health problems in people with learning disabilities. People with learning disabilities and a serious mental illness should have a key worker to coordinate their care. Psychological interventions, such as talking therapies, for people with learning disabilities and mental health problems should be tailored to the individual’s level of understanding. People with learning disabilities who are taking long-term medications, such as antipsychotic drugs, should have annual documentation on the reasons for continuing this treatment. 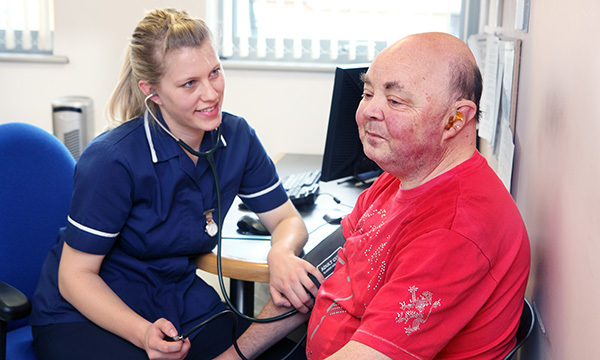 University of Huddersfield senior lecturer in learning disability nursing Stacey Atkinson said the NICE standard was 'extremely encouraging' but pointed out the challenges. Ms Atkinson said identifying those with learning disabilities was not always easy, especially if they were people who were 'good at managing' themselves. Identifying mental ill health in those with learning disabilities can also pose problems for clinical professionals and carers alike, she warned. The most recent data from Public Health England show more than 70,000 people with learning disabilties did not receive a health check in 2014-15. Figures for 2013 show there were more than one million people with a learning disability in England.